The video “Restoring Democracy, Andrew Yang Town Hall with Lawrence Lessig“ from a previous Windermere Sun post about Andrew Yang’s presidential campaign generated a lot of our readers’/viewers’ question about value-added tax, aka VAT, and how it will help to pay for the Freedom Dividend or Universal Basic Income. 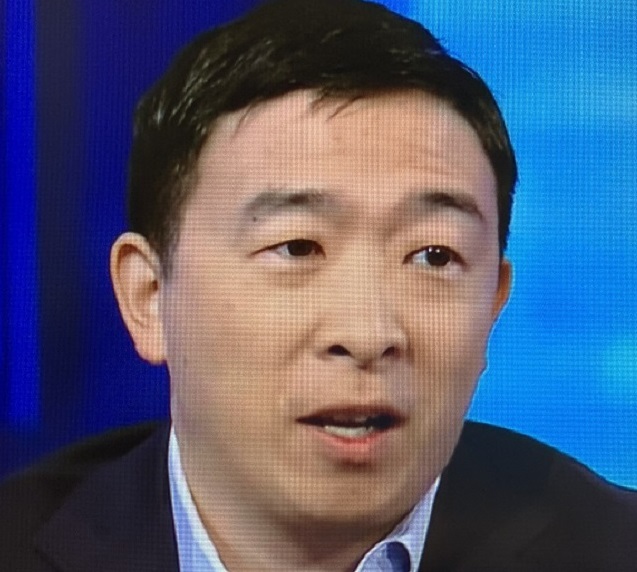 Andrew Yang indicates that VAT is a much more effective way for the government to collect taxes. If implemented, U.S. government would be able to generate $700-800 billion at the VAT rate of 10%. (Keep in mind that most European nations have a VAT rate of 20%.). Furthermore, Freedom Dividend or Universal Basic Income based on VAT would help to generate a more humane society as a whole. Andrew Yang is the presidential candidate that had articulated most detailed and comprehensive set of policy proposals than any other candidate. Check out these positions by clicking HERE. Excerpt from Wikipedia on Value-added tax, in italics, in italics, below: A value-added tax (VAT), known in some countries as a goods and services tax (GST), is a type of tax that is assessed incrementally, based on the increase in value of a product or service at each stage of production or distribution. VAT essentially compensates for the shared services and infrastructure provided in a certain locality by a state and funded by its taxpayers that were used in the elaboration of that product or service. Not all localities require VAT to be charged and goods and services for export may be exempted (duty free). VAT is usually implemented as a destination-based tax, where the tax rate is based on the location of the consumer and applied to the sales price. Confusingly, the terms VAT, GST, consumption tax and sales tax are sometimes used interchangeably. VAT raises about a fifth of total tax revenues both worldwide and among the members of the Organisation for Economic Co-operation and Development (OECD). :14 As of 2018, 166 of the 193 countries with full UN membership employ a VAT, including all OECD members except the United States,:14 which uses a sales tax system instead.There are two main methods of calculating VAT: the credit-invoice or invoice-based method, and the subtraction or accounts-based method. Using the credit-invoice method, sales transactions are taxed, with the customer informed of the VAT on the transaction, and businesses may receive a credit for VAT paid on input materials and services. The credit-invoice method is the most widely employed method, used by all national VATs except for Japan. Using the subtraction method, at the end of a reporting period, a business calculates the value of all taxable sales then subtracts the sum of all taxable purchases and the VAT rate is applied to the difference. The subtraction method VAT is currently only used by Japan, although subtraction method VATs, often using the name “flat tax”, have been part of many recent tax reform proposals by US politicians. With both methods, there are exceptions in the calculation method for certain goods and transactions, created for either pragmatic collection reasons or to counter tax fraud and evasion.The amount of VAT is decided by the state as percentage of the end-market price. As its name suggests, value-added tax is designed to tax only the value added by a business on top of the services and goods it can purchase from the market.To understand what this means, consider a production process (e.g., take-away coffee starting from coffee beans) where products get successively more valuable at each stage of the process. When an end-consumer makes a purchase, they are not only paying for the VAT for the product at hand (e.g., a cup of coffee), but in effect, the VAT for the entire production process (e.g., the purchase of the coffee beans, their transportation, processing, cultivation, etc. ), since VAT is always included in the prices.The value-added effect is achieved by prohibiting end-consumers from recovering VAT on purchases, but permitting businesses to do so. The VAT collected by the state is computed as the difference between the VAT of sales earnings and the VAT of those goods and services upon which the product depends. The difference is the tax due to the value added by the business. In this way, the total tax levied at each stage in the economic chain of supply is a constant fraction. Excerpt from Investopedia on Value-Added Tax-VAT, in italics, below: A value-added tax (VAT) is a consumption tax placed on a product whenever value is added at each stage of the supply chain, from production to the point of sale. The amount of VAT that the user pays is on the cost of the product, less any of the costs of materials used in the product that have already been taxed. More than 160 countries around the world use value-added taxation, and it is most commonly found in the European Union. But it is not without controversy. Advocates say it raises government revenues without punishing success or wealth, as income taxes do, and it is simpler and more standardized than a traditional sales tax, with fewer compliance issues. Critics charge that a VAT is essentially a regressive tax that places an increased economic strain on lower-income taxpayers, and also adds bureaucratic burdens for businesses. Value-added taxation is based on a taxpayer’s consumption rather than their income. In contrast to a progressive income tax, which levies greater taxes on higher-level earners, VAT applies equally to every purchase. A VAT is levied on the gross margin at each point in the manufacturing–distribution–sales process of an item. The tax is assessed and collected at each stage, in contrast to a sales tax, which is only assessed and paid by the consumer at the very end of the supply chain. Say, for example, Dulce is an expensive candy manufactured and sold in the country of Alexia. Alexia has a 10% value-added tax. Dulce’s manufacturer buys the raw materials for $2.00, plus a VAT of $0.20 – payable to the government of Alexia – for a total price of $2.20. The manufacturer then sells Dulce to a retailer for $5.00 plus a VAT of 50 cents for a total of $5.50. However, the manufacturer renders only 30 cents to Alexia, which is the total VAT at this point, minus the prior VAT charged by the raw material supplier. Note that the 30 cents also equals 10% of the manufacturer’s gross margin of $3.00. Finally, the retailer sells Dulce to consumers for $10 plus a VAT of $1 for a total of $11. The retailer renders 50 cents to Alexia, which is the total VAT at this point ($1), minus the prior 50-cent VAT charged by the manufacturer. The 50 cents also represents 10% of the retailer’s gross margin on Dulce. The vast majority of industrialized countries that make up the Organisation for Economic Cooperation and Development (OECD) have a VAT system. The United States remains the only notable exception.